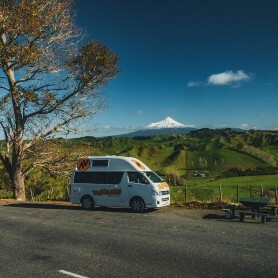 New Zealand, with its vibrant culture, stunning scenery and welcoming people, is the stuff that backpackers dream about. 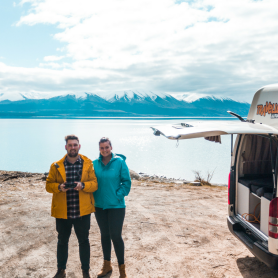 The idea of arranging a camper van hire in New Zealand and hitting the open road to ogle the fjords and the beaches is simply irresistible to many. Yet, it can often come with a painfully high price tag. Before you let that deter you from your New Zealand dream holiday, here are a few ideas on eating your way across the North Island, without breaking the bank. 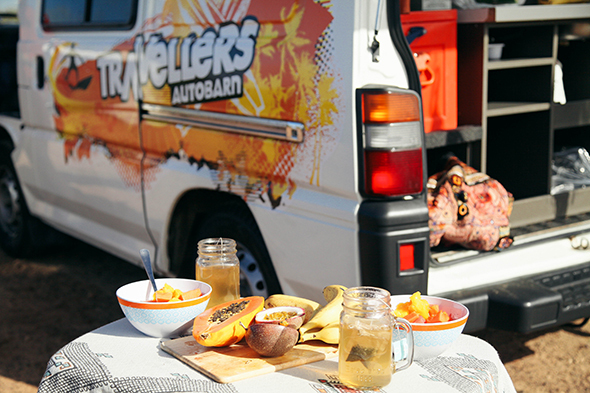 With your New Zealand camper van hire, you have the luxury of your own kitchen. This means that, wherever you are, you are always near a fantastic restaurant. Often, entrees in New Zealand can run an average of $20. Now, consider that number multiplied by three meals a day. It adds up! However, with your rolling kitchen at the ready, you can skip out on the constant need for restaurants. Load your mobile pantry up with the necessities for a decent daily breakfast and a quick afternoon or evening meal. Sandwiches are always easy. Noodle soups and pasta are also a great idea. And don’t forget some fruits and veg to munch on! Plus, visiting a local market is always an excellent way to get into the local culture. Of course, you will want to eat in restaurants for at least some meals. Keep costs down by selecting restaurants in the smaller towns. Restaurants in the typical tourist towns, such as Auckland, are going to be much pricier. However, local establishments in the next town over are more likely to keep their prices reasonable. Visit the tourist attractions during the day and then make your way to the suburbs for the night. 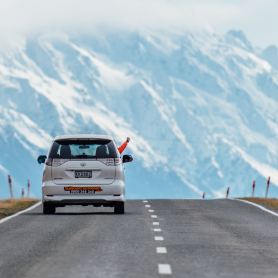 Not only will your restaurant bills be less shocking, but you will also get to see a different side of New Zealand life. Another trick to saving money on meals is to adjust your main meal. When you do want to splash out on a fancier restaurant, consider visiting during lunch instead of dinner. Lunch menus are often priced lower than dinner menus and often the dishes are the same. The least expensive eats in New Zealand’s cities tend to be those offering international flavours. Chinese, Korean, Thai, Indian, Latin American…New Zealand offers an entire United Nations of meals. Try a combo meal for under ten dollars at Makunda’s in Auckland. Or, how about the Singapore Hokkien Noodles for less than twelve dollars at Chumeez in Wellington. 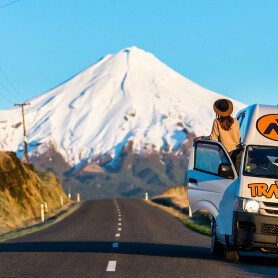 Like much of the world, New Zealand has joined in on the frenzy for food trucks. These mobile kitchens tend to keep their menus refreshingly affordable. For a fantastic burger fix, track down The White Lady in Auckland. The oldest and longest running food truck in New Zealand, you can get your fifties fix with classic burgers, fries and milkshakes. Finally, as a backpacker, you can always go where other backpackers go: the hostels. Many hostels and hotels will offer more than just a place to crash. They offer full communities for backpackers to enjoy. Sometimes, this includes cheap food. For example, guests at the Backpackers Lodge at the Hot Water Beach Holiday Park can enjoy fish and chips every evening. Over in Auckland, the Base Backpackers hostel has not just one, but three affiliated bars and restaurants. Stop in at Hello Sunshine to enjoy a $4 toasted sandwich or a $6 schnitzel burger. That even leaves room in the budget for the $5 brownie when you are done!